From the 1st of January 2019 British Canoeing replaced the Star awards with the new Personal Performance Awards. The awards give you a valuable Certificate that has global recognition. We are excited to be delivering these over the coming season and we have put together a large selection of course dates for you to choose from. The British Canoeing Paddle Start Award will give you the basic skills needed to have a fun time out on the water in a kayak. You will develop skills such as Launching and landing, forwards paddling and turning. As with all our courses both days will be based around a coastal journey exploring some of the best bits on offer in Dartmouth and South Devon! No Prerequisite – This can be your first time in a kayak! The British Canoeing Paddle Discover Award will help you take your next steps as a paddler. We will introduce you to new skills to help you have a fun and safe time out on the water. Once completed the paddler will have developed a better understanding of how the paddle, boat and water interact. Prerequisites – we recommend that you have done one of our skills courses before doing this award. However if you are fit, water confident and have had a go in a kayak before, you might like to start with this award. The British Canoeing Paddle Explore Award will give you the knowledge and skills to plan your own trips in a sheltered water environment. You will develop your personal paddling skills to make your strokes more efficient as well as having have a better understanding of the environment and potential hazards. You will also get confident in your ability to help yourself or others in your group back into their kayak if they capsize. 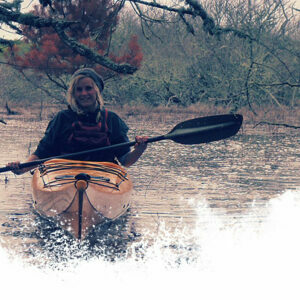 Prerequisites – while there is no official prerequisite for this award, we recommend doing the Paddle Discover award first to help you get the most out of this course. The British Canoeing Sea Kayak Award is the first of the Discipline Specific Awards. Our top Sea Kayak Coaches are specialists in this environment, and we are excited to pass on our skills and passion for Sea Paddling. This award endorses your skill, judgment and the decision making required for a safe journey out on the sea as part of a small group. Dartmouth provides the perfect location for this award and we will be able to look at tidal planning and how this affects your journey in the real world. We will also look at the skills required to be confident and in control with winds up to and including force 3. 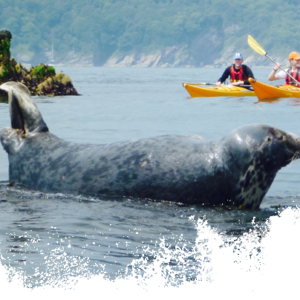 Prerequisites – To help you get the most out of this award we suggest you do our 2-day Sea Kayak Award Training course followed by our 1-day Assessment (see dates below). As a guide most people who successfully get this award will have been paddling regularly on the sea for about a year, perhaps with a local club. The British Canoeing Coastal Sea Kayak Award endorses your judgment, decision making and expertise in Sea Kayaking. It requires a good depth of experience and understanding of sea paddling in conditions up to and including force 4 winds and 2 Knot tides. Prerequisites – We offer a 2-day training course to help you develop the skills and knowledge required to achieve the award. On the training course we will also give you advice on what you might need to work on before coming for assessment. If you feel you already have the skills for the award you are welcome to book straight onto the 1-day assessment. 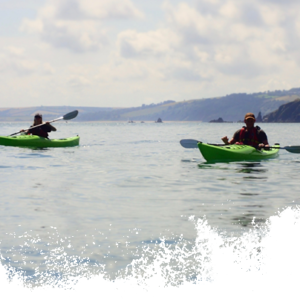 The British Canoeing Advanced Sea Kayak Award is designed for paddlers with extensive experience and a high level of skill. You will develop your paddling in fast tidal floes, strong winds and along exposed sections of coast or on long open crossings. 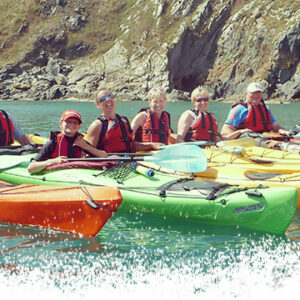 Prerequisites – We recommend working your way through our Sea Kayak and Coastal awards before doing the Advanced award. Most people who are successful in this award will have been kayaking for a number of years and it will be useful if you also have some experience in other disciplines such as White Water and Surf kayak.